Should students have lockers at our school? When you were younger how did you picture high school? 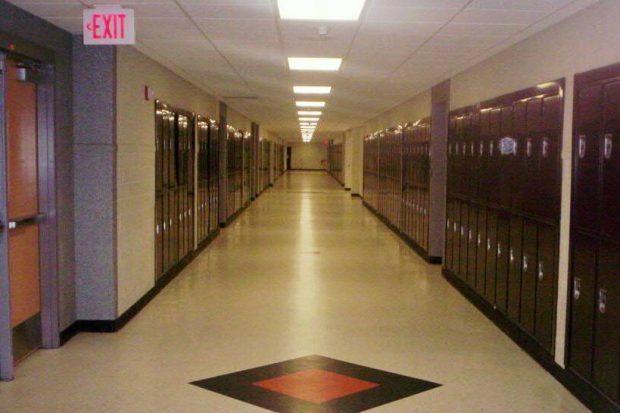 Did you picture it with a large with a large football field, thousands of students, large hallways, huge events, and most importantly, did you picture high school with many lockers? We bet you did. High schools are always stereotyped in movies; huge schools with large amount of lockers all over. But are lockers really important to have in school, especially in our school? Although many students do want lockers due to others schools having lockers, our school doesn’t necessarily need them. Many other schools like Linda Marquez High School, South Gate High School, Bell High School, etc. have lockers to help students manage their school utensils due to their large campus. We do not have a large campus which would make lockers a waste of space, especially since we have a small school. Although some might argue that lockers do provide a securable location to provide to students to place their valuables, lockers can also be used to place unsafe objects, or illegal substances. Lockers are not only unuseful for our school but are also expensive especially if everyone at this school gets a locker. The school money can be used for other things. So in short, lockers wouldn’t benefit our school.